Home Racing Drones Racing Drones – What is so cool about them? Racing drones are small quadcopter unmanned aerial vehicles (UAV) that are built with a purpose of competing in first person view (FPV) racing events that are held in various cities worldwide. Drone racing is a brand new type of sport that is quickly becoming one of the hottest hobbies around with the rise of the drone market. As soon as drones came out, there were already people who were looking into increasing the power of drones in order to make drones suitable for high speed racing. Drone racing nowadays is a real sport that has its own world championship which was held in Hawaii in 2016. The event was participated by drone pilots from different parts of the world where they battled and competed for a total prize pool of $100,000. What is the difference between a racing drone and a regular drone? Racing drones are different from camera drones. Racing drones are typically smaller in size, with a diagonal length of around 250mm and are usually configured in the H-style shape and have cameras mounted in the front of the chassis because they are designed for forward flight. They are also much lighter to allow them to be more agile in midair. Racing drones are meant to push the limits of maneuverability and speed. Racing drones are frequently made of carbon fiber which is an extremely lightweight but sturdy material that can withstand impact. They are paired up with enthusiast grade receivers and transmitters to avoid having input lag and latency. A lot of these racing drones have mushroom antennas that help in having controls that are lag free and a smooth live feed. 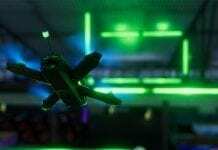 Most of the racing drones do not have autonomous flight modes. Racing drones use high performance Electronic Speed Controllers that control the amount of power that goes to motors and lets them slow down immediately or speed up in an instant. The flight controllers of racing drones usually have a simple hardware and the software is the one responsible for all the adjustments for tuning to have a great performance. Racing drones are usually FPV racing drones which means that they are flown FPV or first person view. Racing drones have an on-board camera and a system in place to send the pilot real time images or footage of the camera to let the pilot have a “cockpit” style view. An FPV racer may cost anywhere between $200 to $800 or even more. Ready to Fly speed racing drones do not need assembly and they are ready to fly out of the box. They are already packed with everything that will be needed except for the controller’s batteries. This is the type of racing drone recommended for beginners. 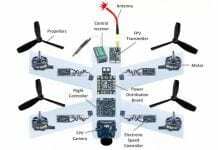 The advantage of RTF drones is that you won’t lose time in assembling the drone. The disadvantage though is that you cannot just upgrade its parts that easily especially if you are not used to disassembling drones. Some racing drones also do not come with an FPV. If the RTF racing drone doesn’t have an FPV kit, you should buy a stand alone FPV that would match your racing drone’s TX bands and frequency. If they won’t match, then the FPV wouldn’t work. This type of racing drone doesn’t come assembled. A racing kit comes with a lot of small parts that need to be put together. It isn’t recommended for beginners and for people who have never assembled a drone before. It is usually bought by more advanced drone racers who have knowledge in assembling a drone. Putting all the small parts together can get tricky and you might need the help of a family member or a friend. It may take hours or even days to assemble a racing kit that’s why you would need a lot of patience. Your hands should be steady too because you need precise wiring and soldering, The sense of achievement that you get after setting up your racing drone and the drone works well is priceless. Research! After reading this guide on racing drones, visit YouTube channels that offer great videos and tutorials to help beginner flyers. Read the drone’s manual. Spend wisely and start small. Racing drones equals crashing drones. Starting slow will help you learn and also save you money if you do have a fatal crash. For those people who are new to drone racing or flying, you should start with RTF mini racing drones that are not expensive. You should get a starter FPV drone so that you can be able to learn how to race and be comfortable in flying a racing drone through a camera view without wasting time and money. Crashing your drone is part of the experience and you will crash your drone a lot of times that’s why it is advisable to get the cheaper ones for practice first. Once you have mastered the art of racing and flying a drone, you are now ready to upgrade and move up to racing kits or assemble and mod racers. Most of the racing drones that win in contests are the ones that are custom-built. Drone racers especially those who are already experts in drone racing modify their racing drones a lot. Drone racers are always actively seeking for tweaks and new gear that will give them an edge over their competition. Besides, drone technology is advancing rapidly that’s why modding is very common in drone racing. Choose the racing kit, RC controller, flight controller, and FPV kit very carefully. Keep modding your racing drone until you win. Beginner drone racers don’t usually use FPV goggles for drone racing so that they can be familiar with controlling the racing kit but at some point, they would need to use FPV goggles to have a real FPV experience. FPV goggles are one of the most important aspects of drone racing. They provide drone racers with a unique point of view that allows them to take a full grasp and control over their drone. Some of these FPV goggles even contain a head tracking technology that allows drone racers to control the racing drone by moving their head. When purchasing FPV goggles, you need to make sure that they would work with your drone racing kit. Both your racing kit and the FPV goggles should have the same connection either via Bluetooth, wireless connection, or 5.8 Ghz for the high-end racing kits. You should also take note of the FPV goggles’ band. It should match with your drone racing kit’s band. People get into the sport of drone racing for different purposes. First of all, it is a fun kind of sport. Then some people enjoying attending meet ups and less formal events to get to know fellow drone racers and learn a thing or two from them. The others who are more competitive get into drone racing to join competitions and win. The racing format that you choose will help you determine the type of aircraft, FPV gear, controller, and budget that you will need in order to compete and enjoy racing. Drone racing is an expensive sport as you will need to keep on upgrading your gear especially if you are the competitive type. Choose a drone racing kit that is within your budget and get ready for spending a little bit more for the batteries and accessories. You might find it funny why there is a need to build your own drone kit, especially when you can always buy the best FPV racing drone. Well, that is entirely true actually – you always have that option to visit the market and find the one that suits you. But remember this: If you want the winning drone, you could not find it by buying – not if you build it on your own. If you take a closer look at many of the drone race results, you will be surprised to know that most – if not all – winning FPV racing drones are custom-built by their owners. Yes, that is right – they were never bought in the first place. Their owners built them from scratch. Why exactly? 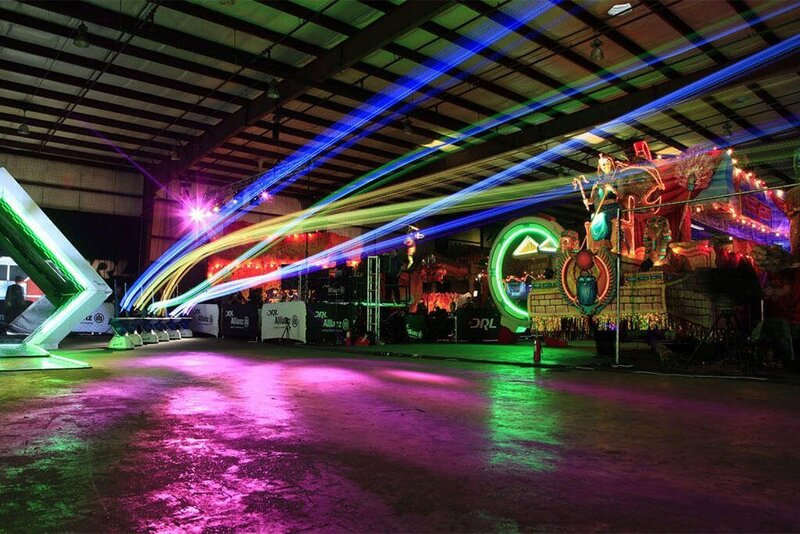 It is really simple: Drone racing enthusiasts modify their buddies – a lot. Think of this one here as something that is akin to any type of competitive flying. Drone racers are always on the lookout when it comes to new gears, tweaks, modifications, and upgrades, among many others. Doing so enables them to have an edge in the competition. Otherwise, the chances of winning are quite low. If you are to indulge in FPV drone racing, it is imperative that you prepare yourself in the practice of modding, especially since it is very common in this hobby. Besides, drone technology has always been evolving since its conception. Always pick your racing class and/or league. This should always be the first thing that you need to do. Choose the best FPV racing drone kit, including RC controller, flight controller, and FPV gear. And it is something that you must do very carefully. Do not just jump into an option – research and do your homework. Keep practicing and modding your drone – and do this until you finally win a race. Of course, there are other ways for you to bag the winning title. But if you are starting out, there is no doubt the above-mentioned pieces of advice could help you big time. Also, consider talking to other FPV racing enthusiasts, be it online or in person. Ask for their recommendations, advices, and tips. Learn from their mistakes and gather information. The following three picks are the best FPV racing drones out there. Plus, they are all ready to fly (RFT). That means they require little to no assembly and, thus, can be flight straight out of the box. To make this part even more helpful, they are divided into three categories: Beginner, Immediate, and Expert. That way, you can start with a drone that is specific to your level of expertise. Without further ado, here they are. There is no doubt that this one is the perfect drone FPV racer for beginners. It is designed for indoor flying, especially in the smallest of areas or places. Hence, it is deemed the ultra-micro marvel. What makes it more interesting is its revolutionary electronic flight envelope protection system, which is made possible thanks to the Sensor Assisted Flight Envelope (SAFE) technology. The Inductrix is also considered the best in the field of FPV racing due to its 25mW video transmitter, which allows you to transmit via Fatshark channels (1 to 8) and all so-called Raceband channels. As a result, you can race with various pilots all at once. You will also love its racing drone kit, which is already included to let you fly it immediately. Unlike any of its contemporaries, this drone right here comes with the innovative Wizard 3 blades. Mind you, these blades have the kind of technology that significantly reduces vibration. As such, you will experience incredible performance and great flight stability. Also, the drone comes with a lightweight and streamlined design for added acceleration and lift. There is a reason why it is called the go-to FPV drone for intermediate users. Basically, it can be used with other types of propellers, so you can perform modifications and/or upgrades according to your preference. And if you are fond of flying at night, do not worry. The drone has a LED indicator, which is installed both in the back and in the front. If durability, affordability, and customization flexibility are the qualities you are looking, then this is the perfect drone for you. Many would argue that the Vortex 250 PRO does not come close with other professional FPV drones in the market. Apparently, these arguments are not entirely true. For starters, it is an almost unbreakable 250-class racer beaut. And do you know why a good number of racing drone kit enthusiasts loves it? That is because it can easily be tuned and repaired even when you are out in the field! This is possible thanks partly to the sophisticated upgrade made on the on-screen display, as well as its high-end, intelligently integrated subsystems. But perhaps the most interesting quality of the Vortext 250 PRO is its durability, which can be found in all of its materials and construction. First, it utilizes the beyond standard 4mm-thick carbon fiber flat arms guaranteed to never succumb to breaking. Plus, you will be pleased with its 2mm-thick top plate and 2mm-thick FR4, which are carbon fibered and skid plated, respectively. And since it is packed with the newest processor – one that has twice the capability of any F1-based unit – you will experience optimal loop times for much quicker flight performance. As mentioned, you do not have to jump into an option right away. Understand first what you are trying to accomplish and base your decision on it. For instance, you are new to buying racing drone kit but you want to learn about FPV racing. Determine which parts you need the most for the specific experience. Let’s say your goal is to win as many racing drone events as possible. If that is the case, then be sure to mod or upgrade using the latest parts in the market. Go with the ones that many professionals prefer. However, if your goal is to simply enjoy what an FPV racing drone gives, then select the parts that could help you maximize your flight or playing performance. Perhaps it is time to invest on new goggles or camera. Anyway, here are things you need to consider before buying FPV racing drone parts. Warranty – This is no something that you would really think about when it comes to standard drones. But in the case of owning the best FPV racing drone, warranties are essential. Keep in mind that they are tied to the individual components of your quad, though they usually cover defects only. In other words, they do not really cover damages caused by racing or competing. So if something breaks while you are competing, you are responsible for the repairs or replacement. Still, it is nice to move forward with warranties that could cover you immediately once your quad’s parts have defects on them. That way, you do not have to be bothered by the idea of buying or looking replacements on your own. Replacement Parts – If you are going to race even with the best FPV racing drone, you need to have replacement parts – and you are going to need a lot. From batteries to frames to ESCs to motors, you will need these parts every now and then. Even cameras and goggles, you will need replacements of them as well. As a matter of fact, drone racers are always readying themselves with a complete set of racing drone kit. Why? Because you never know when the unexpected happens, right? The idea is to have a backup in case such a thing occurs. Resources – Yes, this part here is really, really important. As a budding drone FPV racer, it is essential that you have lots of resources about the hobby you are in. From blogs to forums, you should have them handy. For instance, you should know exactly where to go when looking for parts. It could be via online stores like Amazon or direct to the manufacturer. You should also have access to forums or sites that allow racing drone enthusiasts to share their insights, works, recommendations, tips, etc. Think of the world of FPV racing as something that is similar to going to school. In order for you to learn Algebra and Physics, you need to have books and a great professor. The same thing can be said, whether you are about to race or build your own drone kit. You need resources to help you in this journey! Goggles, Cameras, Transmitters – The keyword here is FPV or first-person view. How will you be able to experience this type of drone hobby if your camera is of low quality? The same idea can be applied when it comes to Goggles and Transmitters. With Goggles, you want to buy the type that is durable and with superb quality. It should be capable of giving you real-time updates on your quad’s camera. As for the latter, go with the one that gives you quality video and/or image capture. Lastly, it is the transmitters. Keep in mind that this one is responsible for relaying you’re the camera feed of your drone to you, the receiver. Selecting it does not have to difficult, so choose the type that is compatible with your drone kit, durable, and easy to install. Other Mods – Some FPV drone racers are fond of turning corners in a fast way, but others are not. You might be into modding in order to upgrade your drone’s stunts and acrobatics, but other racers are simply about taking videos and images. In other words, modding truly depends on what your goal is. Understand what you are trying to achieve in this hobby. Do you want to be a successful drone FPV racer, or you just want to build your own drone kit for the sake of having fun? Do you purposely intend to use a racing drone kit for photography or videography, or modding your FPV drone kit is about competing with other pilots? Once you determine these, you should be able to identify which parts, replacements, upgrades, or whatnot you need to have. DRL, or better known as Drone Racing League, is a professional drone racing league that speaks of intense action and fun. It is where you will see different FPV drone races, all of which are attended by the best players worldwide. Competitors here battle each other for different categories. For instance, they might be battling for points while others are all about who could finish first. Pilots in DRL are always into custom made racing drone kit, the type that is tailored specifically for protection and performance. And since they have state-of-the-art parts and some high-tech equipment, you will see how insane their drones are in terms of agility and flight. Well, it is completely understandable since their FPV racing drones have to overcome demanding racetracks and/or obstacles. If anything, it really does take talent and practice to be at par with these professionals. And if you have plans to battle with their monstrous machines, you better equip and build your own drone kit to perfection. Ladies and gentlemen, boys and girls, FPV racing is the future. Well, it might be exaggerating, so to speak, but it is the truth. You might think of drone racing as an easy hobby, but, in reality, things seem to be completely different. In one way or another, you never know when things are going to go wrong. The parts you just bought might become faulty, thus you need good replacement parts and warranties. If you want to win races, you really need to consider modding – it is your golden ticket! But if you are really interested with the concept of drone racing and you think you have what it takes to conquer the feat, then make sure you follow everything that is detailed in this article. From picking the best FPV racing drone to buying parts (e.g. camera, goggles, transmitters, etc.) to how to build your own drone kit, remember every single one of them. Above all, keep practicing! You never know, you might just be able to reach the top! Next articleMavic Pro Drone – The Best Camera Drone On the Market?